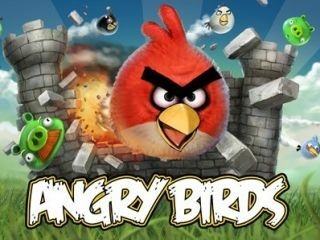 Angry Birds developer Rovio turned down a monumental acquisition bid of £1.44 billion from rival stable Zynga, according to a report in the New York Times. The astounding offer is said to have been rebuffed this summer, after Zynga - whose titles include Farmville and Words With Friends - also failed to acquire the PopCap studio. The NYT report says that Rovio "walked away from discussions of a deal worth roughly $2.25 billion in cash and stock," according to three people briefed on the situation. With 400 million all-platform Angry Birds downloads, countless merchandising opportunities and a forthcoming movie, Rovio continues to grow in stature, but that is a big chunk of change to turn down. Neither Rovio or Zynga has commented on the report. The NYT article focuses on worrying times for Zynga as it prepares to float on the stock exchange with an Initial Public Offering (IPO) in the coming weeks. Staff burnout and dissatisfaction is apparently prominent at the company with some feeling that founder Mark Pincus is "over-reaching." As well as the overtures made to Rovio the report also claims that Zynga was on the losing end of a battle for rival studio PopCap. PopCap, the maker of Plants vs Zombies eventually ended up in the hands of Electronic Arts, who put together a $1.3 billion package, which topped Zynga's $950m bid.